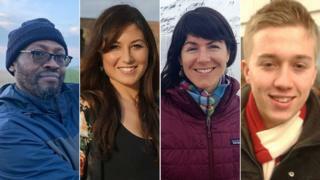 Ethiopian Airlines crash: Who are the British victims? At least nine Britons were on board the Ethiopian Airlines flight that crashed on Sunday, killing all 157 people on board. The Boeing 737 Max 8 crashed six minutes after taking off from Addis Ababa in Ethiopia destined for Nairobi in Kenya. Passengers from more than 30 countries were on the flight. Among the victims were 32 Kenyans, 18 Canadians and nine Ethiopians, according to a passenger list from the doomed flight published by Ethiopian officials. It was initially reported that seven UK nationals were on the flight, but another two passengers were discovered to be dual nationals travelling on another passport, the Foreign Office said. Sahra Hassan Said and her son Nasrudin Abdulkadir, who had dual Somali-British citizenship, were among the nine. Further details of the mother and son have not yet emerged. Here is what is known about some of the British victims. UN worker Joanna Toole, 36, was the first Briton to be named among the dead. Originally from Exmouth, Joanna was living in Rome and worked for the United Nations' Food and Agriculture Organization (FAO). She was travelling to the UN Environment Assembly in Nairobi. On Monday, her father, Adrian, spoke of his pride in his daughter's achievements and said it was "tragic" that she would not be able to achieve more in her career with the UN. He told Devon Live his daughter was a "very soft and loving person" and that they were "still in a state of shock" over her death. The director of the FAO, Manuel Barange, tweeted: "So profoundly sad and lost for words at the loss of our wonderful @FAOfish officer @JoannaToole. "A wonderful human being, who loved her work with a passion. Our love to her family and loved ones." Kenyan and British dual national Joseph Waithaka, 55, moved to the UK in 2004 and worked for the Humberside probation service in Hull before returning to live in Kenya in 2015. His wife Jane still lives in Hull, while his son Ben Kuria has since moved to London. Mr Kuria said he was still in shock after hearing that his father was on board the flight and described him as a "generous" man who "loved justice". He told Hull Live: "He came to my flat in London on Saturday night on his way to Heathrow from Hull and we had a meal together. "He called me later to say he had boarded his flight at 8pm and I said 'see you later'. "When I woke up on Sunday I saw a message on my news app about the airline crash". Paying tribute to Joseph, former colleague Gwen Williams told Hull Live she would "remember him as a happy smiling person who wanted to be a positive influence in people's lives". She added: "Our thoughts are with his wife Jane and his family at this sad time." 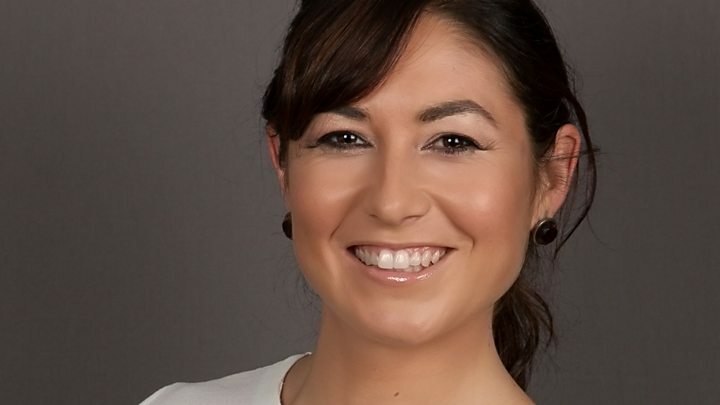 Sarah Auffret, believed to have had dual British and French nationality, was a polar tourism expert and had been travelling to Nairobi to talk about how to tackle marine plastic pollution at the UN event. She grew up in Brittany in northern France before living in the UK, Australia, Germany, Argentina, Japan, and the Antarctic Peninsula. Norwegian media reported she was aged 30 and lived in Tromso, Norway. A spokesman for the University of Plymouth, which she graduated from in 2007, described her as "an exemplary student who fully embraced university life and took every opportunity to develop herself while she was here". Her employers, the Association of Arctic Expedition Cruise Operators, said they were "shocked and heartbroken" to learn of her death. Sam Pegram, 25, from Penwortham in Lancashire, was an intern with the Norwegian Refugee Council, based in Geneva. His mother Deborah told the Lancashire Evening Post: "Sam was so looking forward to going to Nairobi. He loved the work he was doing. "We can't believe this has happened. We're totally devastated." Sam had attended Runshaw College in Leyland before going on to study at Leeds University and for a masters degree at the University of York. Paying tribute on Facebook, Mr Pegram's former school Penwortham Priory Academy said: "Many of our current staff taught Sam and will remember him with great fondness. "We send our deepest condolences to Sam's family and friends at what will be a terribly difficult time." Oliver Vick, 45, was travelling to a posting with the UN in Somalia. His family, who are based in Berkshire, said in a statement: "Olly was well-loved and had an energy and zest for life which lifted and inspired all that met him." What is the Boeing 737 Max-8? How could a new plane crash?